There are over 2 million ‘lawyer’ related Google searches made in Canada, every year. Despite this growing online search trend 1 most Canadian lawyers still don’t even have a website. 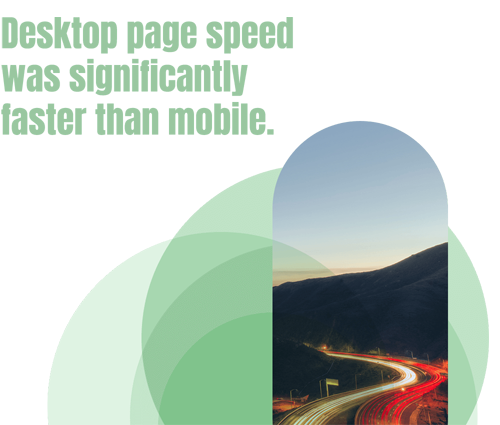 This report has been designed to understand the current state of the legal website landscape in Canada. 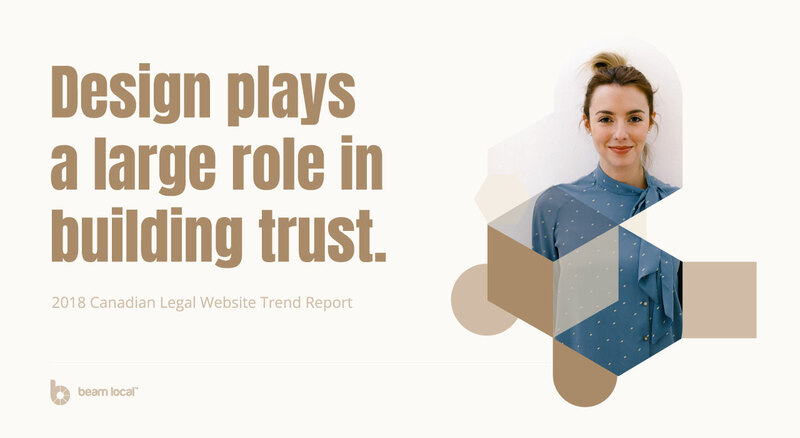 We’ve deeply analyzed 132 Canadian based legal websites and have put together this definitive Canadian legal website trend report. Understanding the landscape of Canadian legal websites involved the capture and analysis of a wide range of data. We followed a scientifically driven method to collect a credible set of source data. 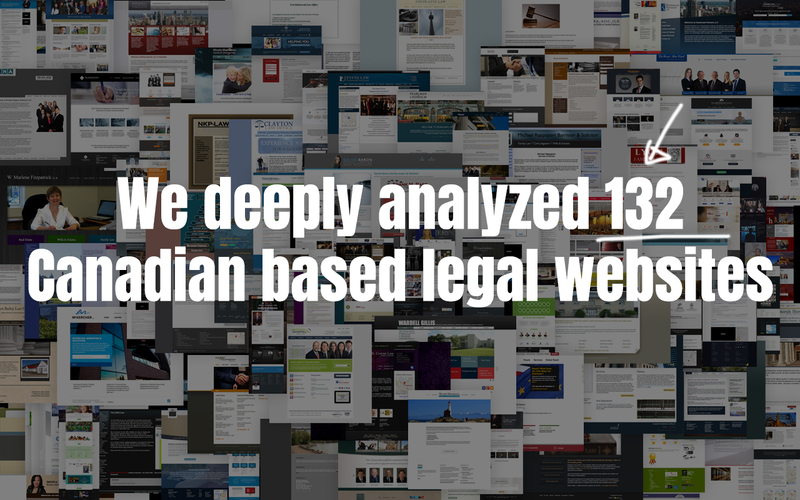 We randomly selected 132 lawyer and legal websites across Canada. 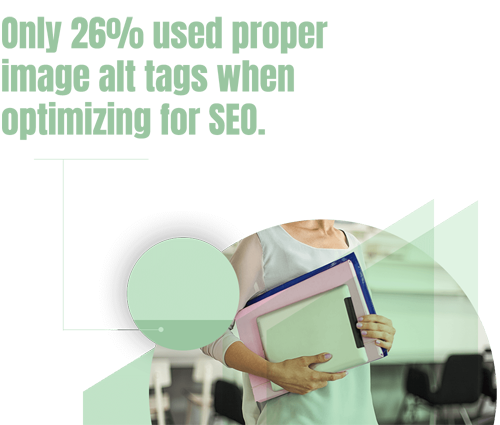 Our selection of lawyers, and firms ranged in size from a single person to 100+ employees. Our source data is available for reference here. 1. Design – Find out how good design can impact your business. 2. Content – Discover what types of content are the most valuable. 3. Technology – Understand what technology makes the most sense and why. 4. Social – An active social media presence will make a difference. 5. Action – Why a clear call to action matters. 6. Conclusion – Massive opportunities still exist. 7. 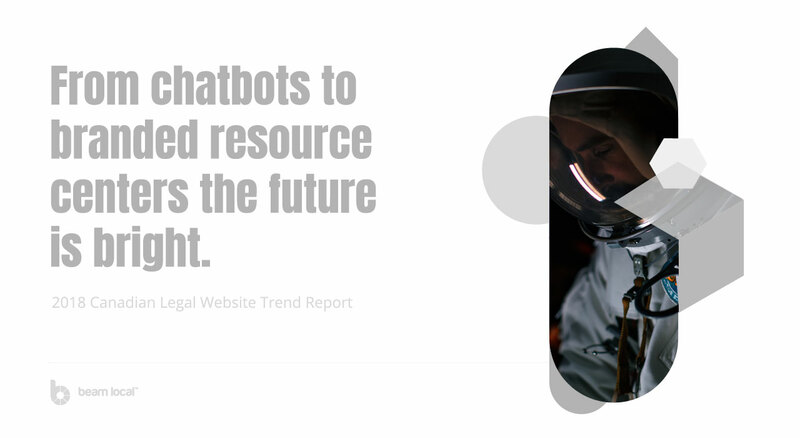 Future Predictions – Find out what trends will shape the future of legal websites. A well designed website will help shape your brand, communicate your business story, and ultimately encourage users to choose your business over your competition. The world of design is as wide, as it is deep. As such, we focused on items which are typically considered leading drivers of modern website design including; layout, photography, and user experience. Emerging from the medium of printing and the fixed page, early websites were designed to fixed-width layouts, but over the past few decades it has become increasingly apparent that the web does not have the same constraints and that we should design for its flexibility instead to allow for greater accessibility to all people. This assertion is supported by the fact that 69% of websites we reviewed were responsive. With the rise in mobile traffic to websites over the past several years, it is now more important than ever for websites to move towards a layout which can adapt and be viewed properly across any device through the use of a responsive layout. 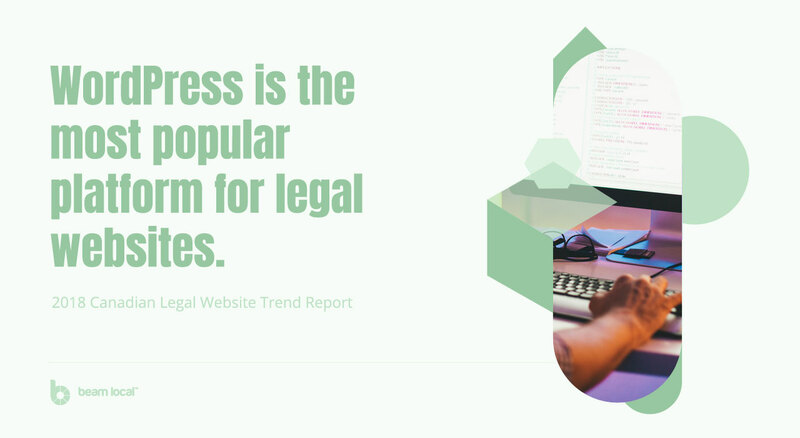 31% of legal websites in Canada do not currently make use of a responsive design, meaning they are quickly becoming outdated and more difficult to use in an increasingly mobile world. This shift has essentially forced a global design trend leading to an increase in the use of grid based responsive layout. In this case technology and it’s myriad of devices and screens are forcing the shift in visual design practices for legal websites. Ensure that your website is responsive. 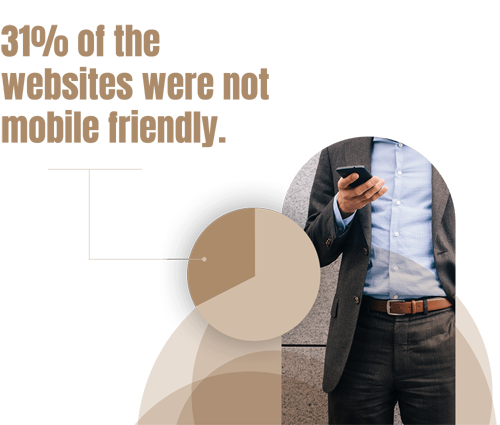 The shift to mobile is real and growing, and yet 31% of legal websites in Canada remain poorly designed for mobile devices. As bandwidth and internet speeds have climbed so to has the use of larger, higher quality photography and video on websites. We found that most Canadian legal websites did use good quality photography on their site, albeit a little cliche in many cases. The use of Great photography on your website can improve your business’s reach, reputation, and revenue. 4 While very few websites have started to use video on their websites it’s estimated that video content will account for nearly 79% of all consumer internet traffic by 2019 5. Use good quality, relevant photography on your website. Many images marked ‘relevant’ were actually cliches (scales of justice, a gavel, briefcases, or hand shakes). The use of unique photographic content will help differentiate you from your competition. Find out how to get good quality photography for your law firm website. It’s easier than you think. Use video content on your website. 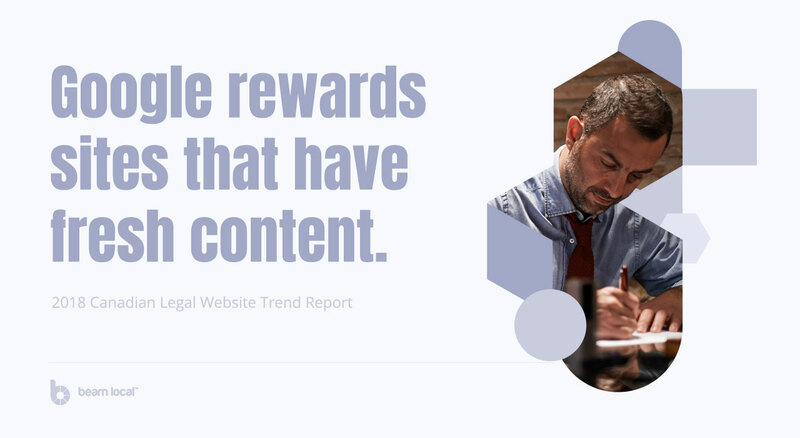 With less than 12% of lawyer websites using video today, and trends showing rapid growth in video consumption this is your opportunity to get ahead of the curve. A good user experience on your website includes clear navigation and encourages users to reach a specific goal. If your website is difficult to navigate, your visitor won’t be directed to pages to learn about you, they won’t see how you can help them, and they won’t be able to take action. 70% of website main menus included a call to action to ‘contact’. Adopt a simple main menu. With over 85% of websites using a top menu, with common verbiage for their pages and contact information we would suggest adopted a similar approach for this key legal website element by using a simple familiar menu. Website content helps tell your business story, helps visitors understand what services you provide and the value they can expect to receive from you. It can help build trust and strengthen your brand. Blogs, resource centres, recent work, newsletters, and testimonials all act as pieces of content that give away value, knowledge, engages with, and builds trust with your user. The most important resource here, if you’re going to prioritize, is your law blog. Your blog is the most valuable resource you have. Writing about topics relating to your expertise sets you up as a trusted resource of free knowledge for your client base, which means you’re engaging when them even when you’re not on the phone, in a meeting, or writing an email. Your other valued resources will come in to support your blog, cement your newly trusted relationship with testimonials and recent works, which all help to grow your business. Due to the weight secondary resources have with getting users to your website and then building trust with your audience, we expected to see more law firms with newsletters, recent works, and testimonials – and the very least, resource centres and blogs. Having real world customer testimonials helps cement your reputation in the eyes of your website visitors and will help set you apart from the competition. Yet, only 17% of the sites featured testimonials. Today there is a wide range of technologies used to build, manage, and optimize websites. It’s increasingly common to see legal websites build on top of the WordPress platform, and there is a shift towards live chat and real time appointment setting. To assess the technical aspects of the websites, we looked at quite a few metrics: the platform used to build the website, it’s last update, the integration of self service, SEO, and Google page test results. Different platforms have varying degrees of technology available to them. To put it simply: the platform you choose to build your website dictates what technology you’re able to use within it. The platform used can tell us whether the website was a DIY build or custom built. 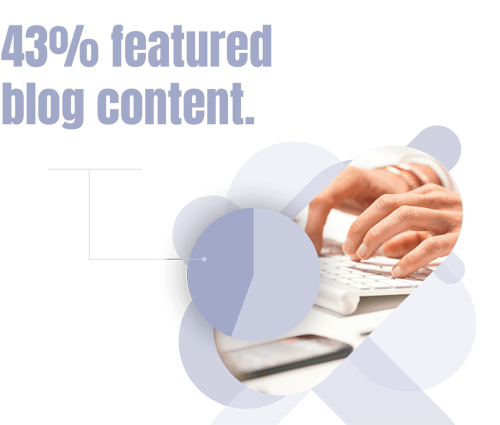 Website builders and content management systems can offer differing levels of capabilities. Website builders offer an easy way to make a professional grade website without having to know any coding. Because of the low skills barrier of entry, website builders will do heavy lifting to create the files for your website. They are, however, notoriously tricky to maintain and managing content like images, blogs, or videos can be difficult. The most popular website builders today are Squarespace, Weebly, and Wix. On the other hand, there’s also Content Management Systems, like WordPress, to consider. Content management systems have been around since the 1990’s, they’re computer applications that help you build and then modify your digital content with the use of an easy interface and language (PHP). The advantage here is that CMS will support the use of multiple users to work together on the same content. WordPress is the most popular (and is free), but there are hundreds of them on the market – including proprietary systems. Different platforms, whether Custom, Wix, Squarespace, or WordPress offer differing levels of flexibility with tools and plugins, technical support, SEO, ease of use, security, and ongoing updates. The system you choose should align with what type of business you have, what you’re using your website for, as well as your tech-savviness. Due to the lack of branding present, we’re left to assume that most websites we surveyed were custom built. With the data we’ve collected, we can’t be sure if the websites were designed by firms or friends, but we can infer from the overall quality (of design as stated above, as well as incorporation of technologies) that a fair amount of them were amateurly built. Since your website is your business’s presence online, we’d recommend hiring professionals (not your cousin or your neighbour) to design your website. As we’ve mentioned above, having a great design has been found to be the most important aspect. WordPress powers approximately 29.3% of all websites currently on the internet so we’re not surprised to see it be the most popularly used platform here (second only to “other”). Because of its flexibility, support, and relative ease of use even large, multinational brands like Time Magazine, Google, Facebook, Sony, Disney, LinkedIn, The New York Times, CNN, and eBay lean on it’s capabilities. If your law firm needs a “one stop shop” to build and manage your online presence, WordPress and it’s built in SEO, drag and drop capabilities, support, cost, security, and variety of themes and plugins is it. Self-service is becoming an increasingly popular technology for customers to resolve their own problems, learn more, and book for themselves. Today’s internet user is a little more tech-savvy and customers are not just ready for self-service, they actually prefer it over other services. 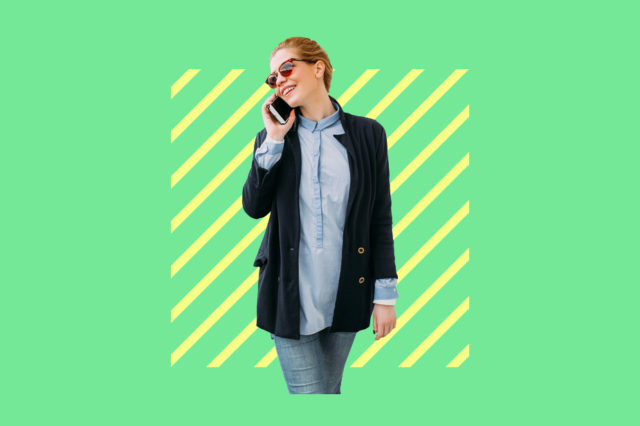 This is especially relevant for businesses that keep appointments, offer consultations, have a small administrative team, and are often booked a week-month in advance. Given the apparent rise in demand for self-service in other industries, we expected to see more websites with the “schedule an appointment/consultation” option for potential clients. 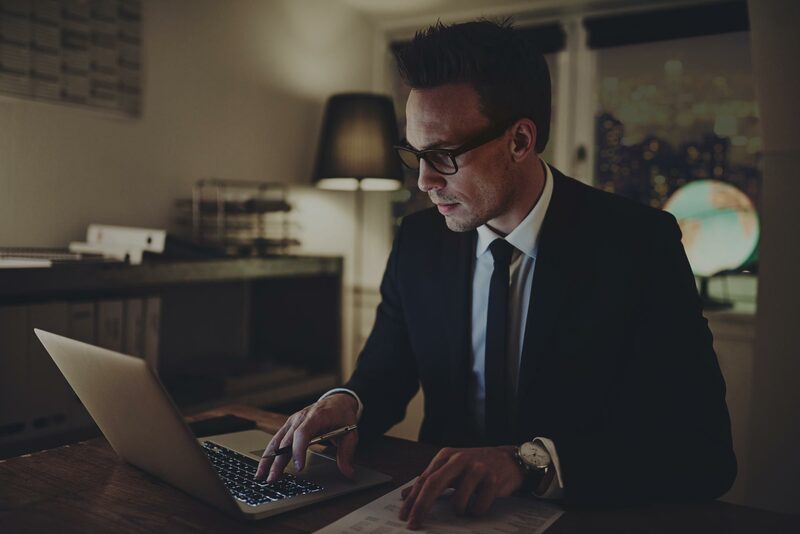 The law industry in Canada is lagging behind others like travel, restaurants, hospitality, fitness, and medicine who all offer self-booking services. While there is a shift towards self service, there is a lack of simple pricing on sites; less than 5% of websites list pricing of any kind. If users are looking for self serve options, listing pricing as a start would be beneficial. SEO and the tools behind it are essential technologies ensuring your website is found by a relevant audience. Optimizing your website for a search engine can be a sophisticated science, the purpose of which is making your website scannable for (and appealing to) search engine algorithms who reward your efforts (or penalize) with your search ranking. Search engines are constantly changing and becoming more-and-more intricate, but that’s not to say they can view and interpret a webpage the same way a human can. This is why SEO technical aspects are so important, they assist the engines in figuring out what each page is about, and how it may be useful for users. Optimizing your site for search engines is critical to having the opportunity to be found by an audience which has actual interest in your business and services. Through our research we discovered that while many basic on page SEO aspects were in place very few websites had the more advanced SEO features in place. For example we found that the majority of websites (92%) we studied have the basic page title optimized but page description was at 68%, only 26% named their images correctly, 55% had alt tags in place, and 42% had H1 tags. All of these elements are necessary for your firm to be found on Google. Negating SEO will only serve to decrease your search ranking and therefore website traffic by potential clients. 80% of consumers use search engines to find local information for products and services near where there happen to be. They’ll Google directions, reviews, and services before ever contacting you – make sure you show up by adopting all aspects of SEO. Read this article on Easy tips to better optimize your legal website for SEO. SEO isn’t all tags and meta descriptions though, your user experience, content, speed, and mobile friendliness all weigh into your ranking. We found that out of 132 websites, only 91 were mobile friendly. This means that nearly 70% of their search results are being penalized by Google’s algorithm for not being mobile-friendly. Not only that but, according to Socialmediatoday.com, 70% of mobile searches lead to online action within an hour. How does this affect your law firm? If your firm doesn’t show up, you lose a chance at capitalizing on your slice of that 70%. Being mobile in 2018 pays dividends. Don’t know if your website is mobile friendly? Test your mobile friendliness on Google. Since most people will find your website via Google, and speed/user experience is weighed into your SEO index, we’d highly recommend using this tool to analyze where your firm’s website is excelling and failing (don’t worry, Google will give you easy recommendations to raise your score). Google’s page test scans the website for speed on mobile and desktop, along with the user experience on mobile, and assigns a score out of 100 for each category. For each of the 132 websites, we’ve uncovered some medium-high averages but the difference in lowest to highest scores are notable, as well as exactly how Google ranks pages and how these results aren’t always indicative of website “quality”. The average speed for mobile sites is understandably low, as only 69% of the websites we studied actually passed the mobile friendly test (slow speeds being a marker of a potentially non-mobile friendly site). The User Experience average high of 90.7 is quite high due to the categories Google indexes by. For example, many websites didn’t have: interstitials that hide content, plugins, improper use of font sizing, or ill-fitting webpages for the viewport (screen) but a designer might still rank them quite low on a subjective “quality” scale. The average of Desktop is steady at 75, this is probably due to the absence of video on most websites (speeding up loading times), the presence of smaller images, simple coding, and the prioritization of content “above the fold” – all of which are weighed into the Desktop score. Page speed affects every metric your law firm should care about – Bounce rate. Search ranking. Conversion. Page views. Reader satisfaction. Even revenue (otherwise known as money in your bank account). Making your website faster has been known to increase the quality of your user experience and lead to more conversions. What does this mean for law firms? 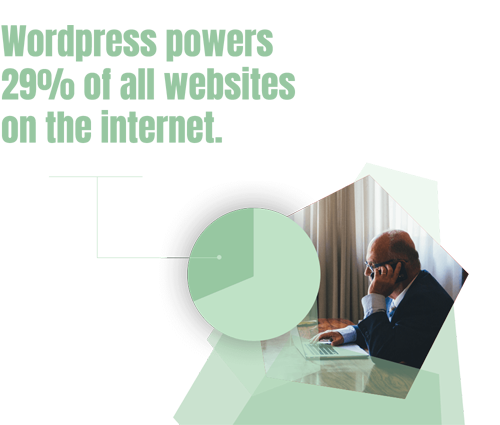 It means more clients calling your office, more people signing up for a consultation, and more growth for your firm. How do you easily increase the speed of your website? Use the following sparingly: widget/plugins, ads, large images, complex design theme, and sign up forms. Social media helps you to build and maintain a two way conversation with your audience on a daily basis. Social media can be used for businesses to develop a personality and actively reach out to potential clients to establish a dialogue as well as existing clients to keep connected. Having social links/buttons present on your website’s page lets your audience easily access your different accounts. Since your social accounts give your visitors a more well-rounded view of your law firm, you want these links to be both a) clearly present, and b) be directing to relevant social platforms tailored to your business. Social media is just another way to reach an audience that might require your services. If your audience likes what they read on your website, they will want to share it on their social platforms through the use of a share button. With over 2.5 billion social media users across the globe, it’s now imperative for small businesses to join social media in order to build awareness, drive sales, and gain new customers. Considering that at over 467 million users, LinkedIn is the largest professional social network in the world, there exists a large opportunity for lawyers to take advantage of the fact that only 22% of the websites we reviewed had a LinkedIn profile listed on their website. Displaying your LinkedIn profile builds legitimacy for your practice, especially if it is used as one avenue to distribute your resources as seven out of 10 professionals describe LinkedIn as a trustworthy source for professional content. An action (or call to action) is an instruction to your audience to inspire an immediate response, usually using active phrases like “call now”, “contact us”, or “register here”. To make your website profitable, you have to lead your prospects down the path to signing up, calling you, or getting their free consultation. For its direct impact on your firm’s bottom line, some marketing insiders call your action button the most important piece of your website. Today, attention is caught by using contrast for your Action statement – make sure your action statement is in a brightly coloured box to create a sense of urgency and make taking action that much easier for your visitor. The box/text needs to be large enough that the user can easily see what action they are supposed to take. This becomes even more important with mobile versions, make the button big enough that the user doesn’t have to zoom in to see it on their mobile device. Next, limit the amount of differing actions you want the user to take. As mentioned in the previous section, nothing looks worse than a website littered with “CLICK HERE”, “DOWNLOAD THIS”, “LOOK HERE”, “SIGN UP NOW” – all on the same page. Every great homepage has an action element. Common forms include a button, signup form, settings menu, anything that sticks out to guide your visitor along to either contact you, get a newsletter, download, read something, or buy something from your business. 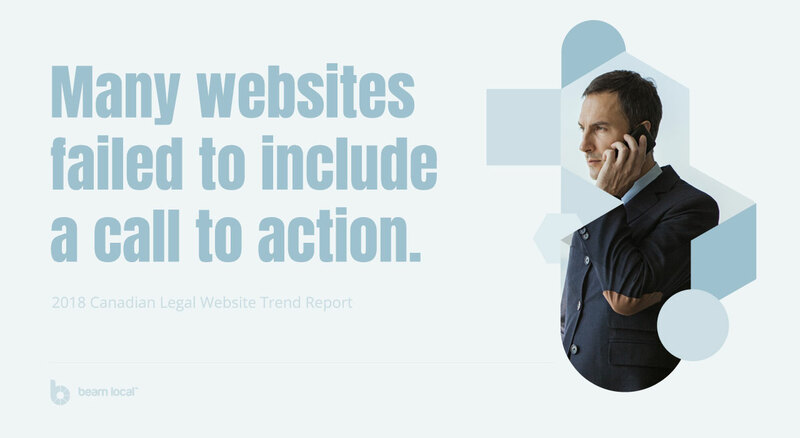 We found that only 59% of the law firm websites we studied had calls to action, and a few had either way too many or not enough. Because of the relatively small percentage of websites that had relevant and well designed calls to action, we’re going to back up and give you some insight into what works in the world of Action statements. 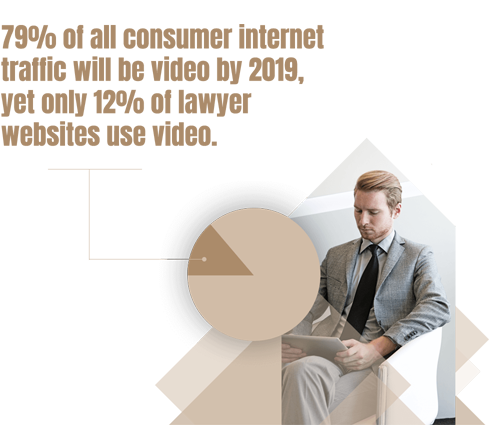 Massive opportunities exist for lawyers and law firms in Canada to capture a larger share of their markets by adopting a modern approach to their website. Having delved deep into 132 legal websites in Canada, our report first sorted into categories for data collection (Design, Technology, Content, Social, and Action), then analyzed the data to clearly 1) Collect and share a credible set of source data, 2) Provide a trend driven overview, and 3) Curate pieces of actionable insight. 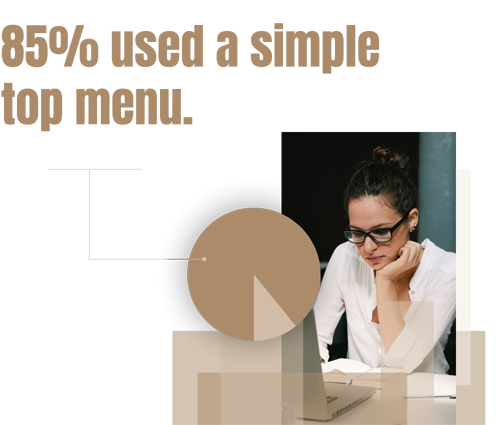 By completing this report, we’ve come to the realization that a vast majority of legal websites in Canada are not optimizing their online presence to suit their business needs. This is aligned with the overall state of small business websites in Canada, as business owners seem to still need convincing to a) get a website and b) make it profitable for their business. Given the increasing demand for lawyers in Canada via search engines, it will become harder and harder for lawyers and law firms to ignore the value of creating a website for their business with each passing year. If you don’t have one, you will not be visible online, which will ultimately cost you business to your competitors who do. Explore a roundup of some of the best legal website designs for 2018. Lighter, faster, better. Page speed, AMP, and schema. Earlier in this report we talked about Google Page Tests, an essential technology for grading the usability and performance of your website. We predict that page speed optimization will continue to increase in importance in the coming years, especially with new initiatives such as Google’s Accelerated Mobile Pages Project seeing high adoption rates from many companies across the globe. The fact of the matter is that if your website doesn’t load fast enough, users will leave before they even see it. We found the while the majority of legal websites featured good quality photography a lot of it was cliche, and very few sites leveraged video. We predict a shift towards high quality, authentic photography and video content for all legal websites in the future. Live chat appliances on websites will slowly get smarter, powered by AI. Eventually these chat bots will be able to answer questions, qualify leads, and even schedule appointments on your behalf. 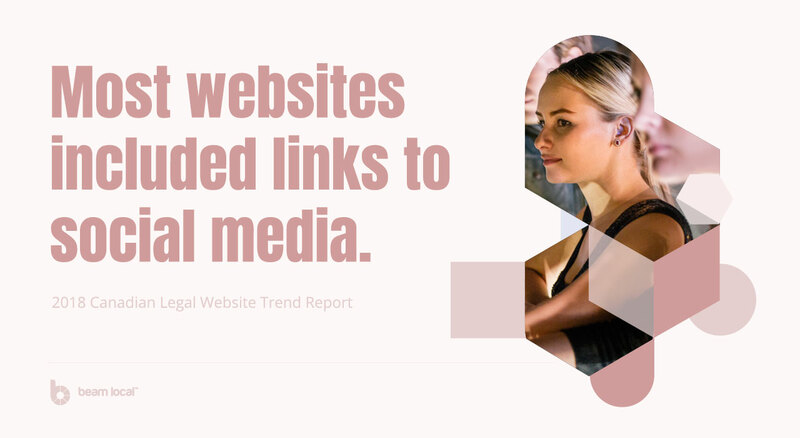 Most legal websites featured links to social media accounts, we’re predicting a shift whereby more lawyers start driving traffic back to their website versus sending traffic out to these social sites. These websites will act as hubs where potential customers can get an overview for all of the social content a firm may be sharing. It’s already happened across many industries… think Yelp, Tripadvisor, homestars… every industry is going to have to face a community driven site where users leave unfiltered feedback about you personally, or your firm, and the experience – good or bad – they had while working with you. Lawyers will need to understand the impact that social reviews have on their business and work to protect their reputation by actively publishing reviews on their own websites. We found that most legal websites in Canada used some level of on page search engine optimization. We’re anticipating that some firms start to adopt expert level SEO strategies to further distance themselves from the competition. If you don’t have a long term SEO strategy for your legal website, get one. Content continues to play a very important role for firms who are looking for ways to establish their expertise, market their services, and attract new customers. We think there will be a shift towards more branded content, whereby these firms start to cement themselves as experts in a specific field by creating high quality link worthy content created in house for their customers online. 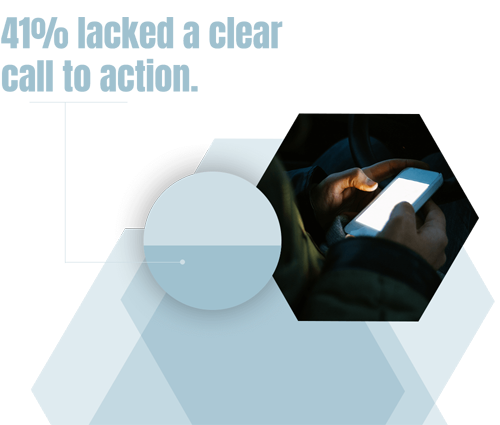 Nearly two-thirds of smartphone users are more likely to purchase from companies whose mobile sites or apps customize information to their location. As more lawyers adopt modern website frameworks we’ll start to see more personalization of the website experience which will help deliver very specific messaging to highly targeted user groups. 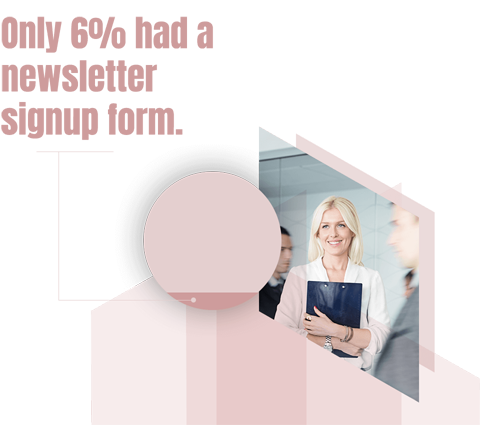 All of this will help drive higher levels of engagement and lead generation for the law firms who adopt this technology. Not ones to keep our findings under lock and key, we’d like to direct your to our raw data. Of course, unique URL’s have been held back for privacy, but you’re free to comb through and reference this data in your own research. 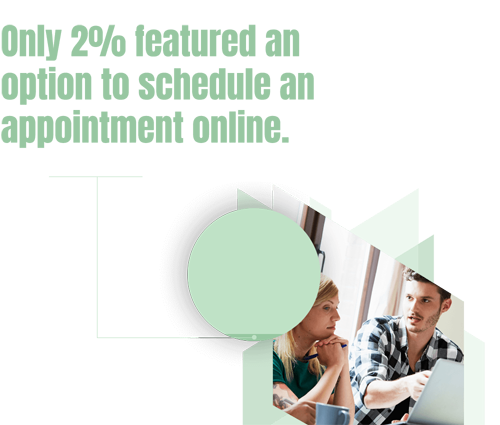 This report was just one more way you can use your website to help you be a better business. If you found this helpful, please share it with your colleagues! Productivity can help you be a better business. Productivity can save your business time, alleviate stress, help increase focus, and help surpass client expectations. 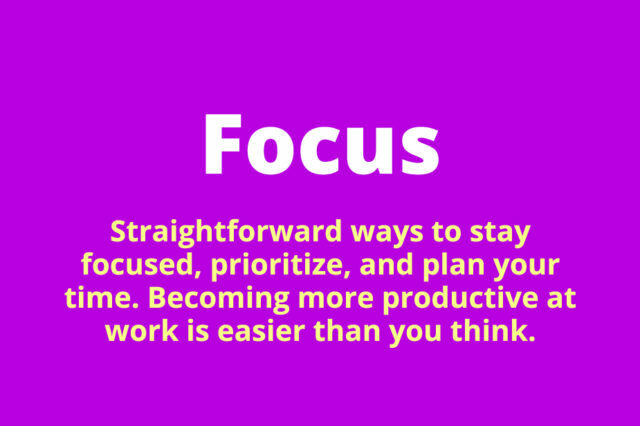 Stay Focused, Manage Your Time and Get More Work Done. 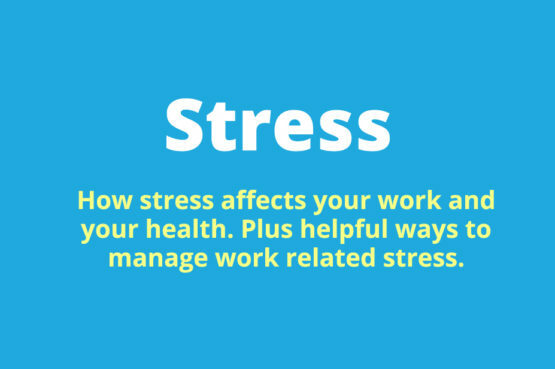 How stress affects your work and your health, plus helpful ways to manage stress.